When we met with them earlier this year, adidas promised some surprises were in store for the Ace and X silos. Well, this is definitely one of them! 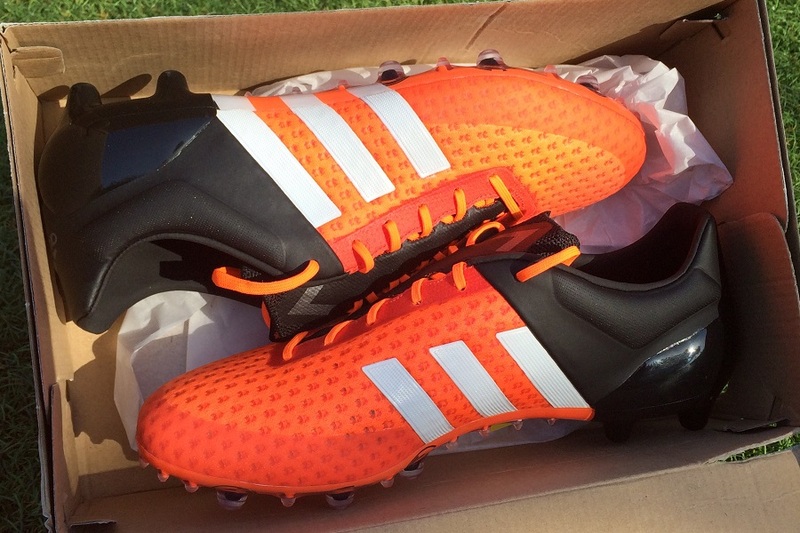 This week, adidas introduced the Ace15+ Primeknit , a boot designed to highlight the brands key technologies. 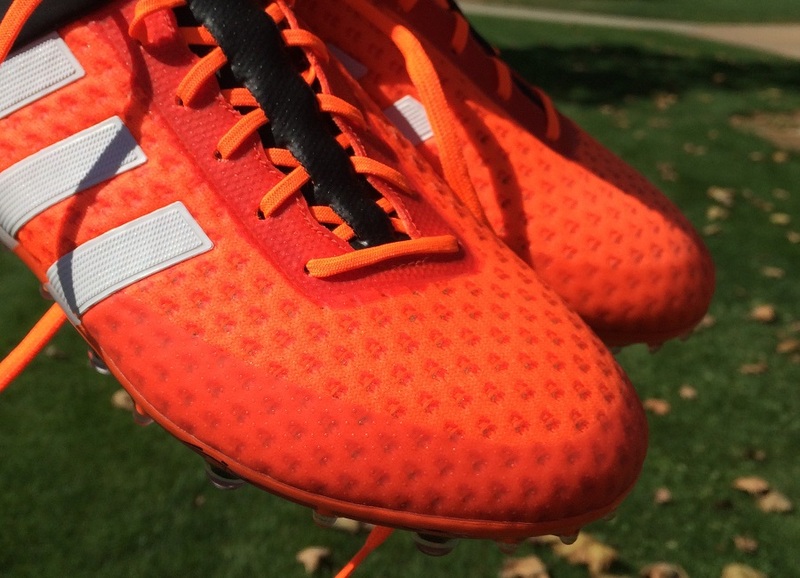 The performance characteristics of “Control” meets Primeknit and the “best fitting shoes in the world“. We picked up a pair this week and will be putting them to the test with a review. But for now, we wanted to bring you some details on what they have to offer with a “What You Need To Know” style post. If you have any other pressing questions you need to know, let us know in the comments and we’ll get back to you! 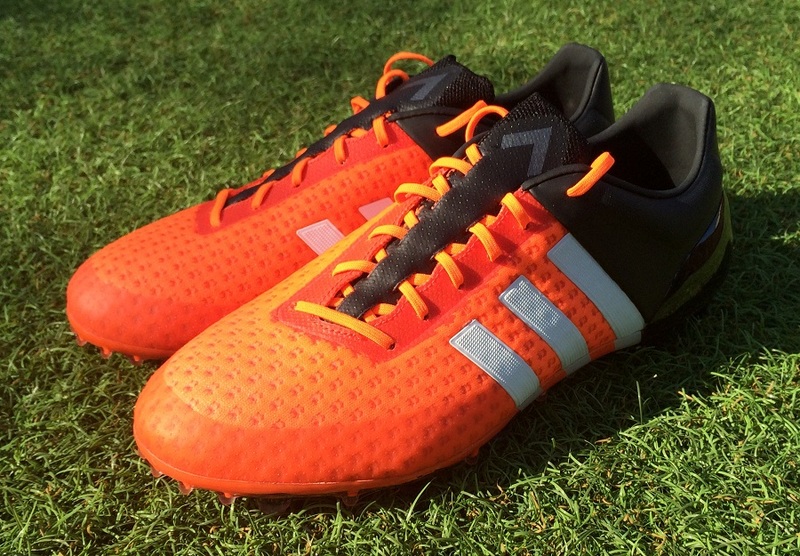 Find the Ace15+ Primeknit available at soccer.com. Right on your foot, you get a controlfit material that is soft and form fitting. One of the unique aspect is a light ridged layering along the forefoot that allows for the knit layer above it to mold effectively through play. 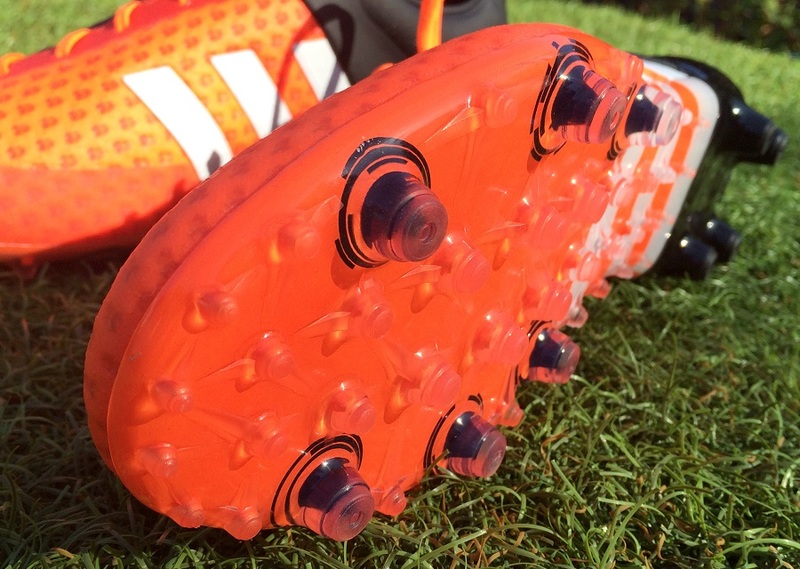 The actual Primeknit material is employed to provide 3D control on the ball. Rather than being knit in a uniform fashion, adidas has left gaps in the material, or what is the unusual design across the foot. Above that is the all important protection layer. To complete the look, a 3D vacuum skin covers the upper and effectively creates a textured feel. It also offers unbelievable grip and protects the upper in all weather conditions. 2 – The Official Colorway Is……. Adidas has wasted the opportunity to make these visually pop, with an extreme Solar Orange creating s striking appearance. In person, there are times when I’d go along with that Solar Orange label, and other times when I’d call them more of a Neon Red. It varies depending on the lighting situation, but either way just know that they look bold. 3 – Don’t Expect Much Stretch! This one might surprise you; the upper of the Primeknit will not stretch much, meaning the initial size of the boot is what you can expect over time. Yes, knit naturally stretches, but when you cover it with a 3D vacuum layer things are a little more secure. Think of it like a thin layer of plastic melted onto a softer knit. You still get that soft feel, but the melted plastic binds the material together! 4 – But They Are Very Comfortable! One of the benefits to the Ace15 series is that they are very comfortable and accommodating to most fits. Players who need some extra space through the forefoot will naturally find they fit a little wider than traditional releases. The inner lining is super comfortable and the stretchable knit tongue (below) means you can loosen up the laces and get a little extra wiggle room across your forefoot. 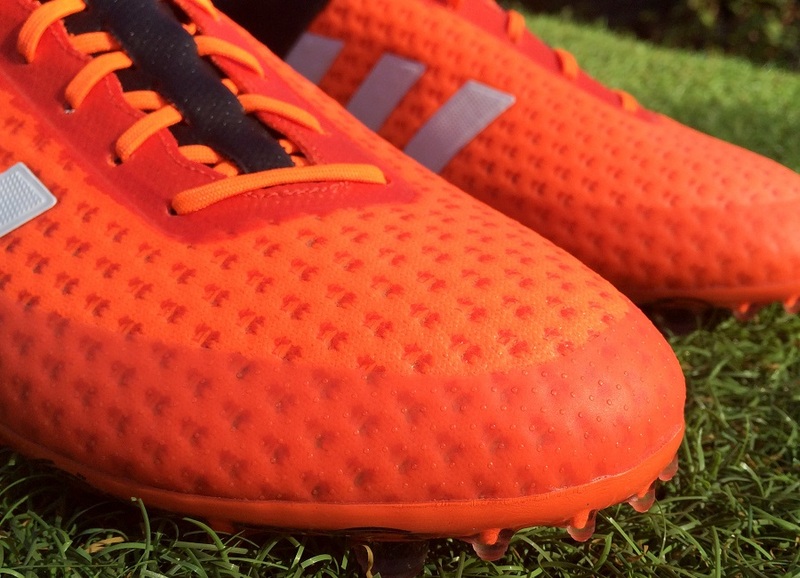 On the regular release, adidas used a synthetic material through the tongue. The Primeknit is much different, with knit used instead. Unlike the forefoot, there is no 3D vacuum placed on the tongue, so it has the ability to stretch a lot more. This ensures total comfort across your foot and ensures you can loosen those laces up for some extra breathing space. 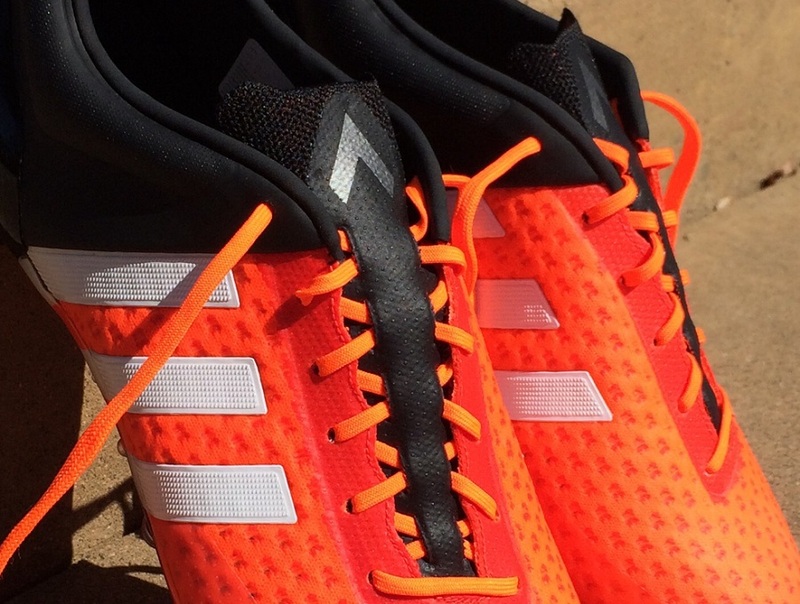 6 – Which Weighs Less: Regular or Primeknit? You might not have guessed this since they feature a knit material through the upper, but the Primeknit weighs slightly more than the regular release. The difference is a minimal .25oz, or 9.5oz compared to 9.25oz. Will you notice the difference? Absolutely not. Do they perform differently? Yes. Always a nice addition. 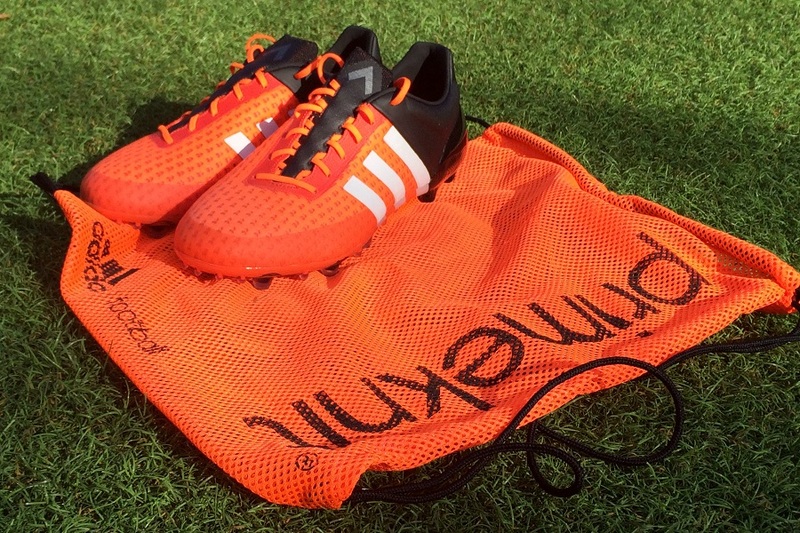 Like the regular release, adidas include a free boot bag in the box. This one is fully perforated and features a vibrant red look to really showcase your new boots! The only negative is the fact that it won’t be very useful if you play in wet muddy conditions and rely on your boot bag to keep that mud away from everything else in your bag! But here in California, it works just great. So, when all is considered, how does the Ace Primeknit rate? We still have to put them through some additional game time but everything about them to date has been extremely positive. You get the same standard features found on the regular release such as Controlfit collar padding and a reinforced heel counter. The addition of a much more natural Primeknit material takes them up a level and provides players with something just a little more form fitting. With all of that comes a slightly higher price tag (doesn’t it always) and you’ll need to shell out $274.99 for a pair. Not the most affordable shoes in the world, but I’d still recommend them as a boot worth experiencing. 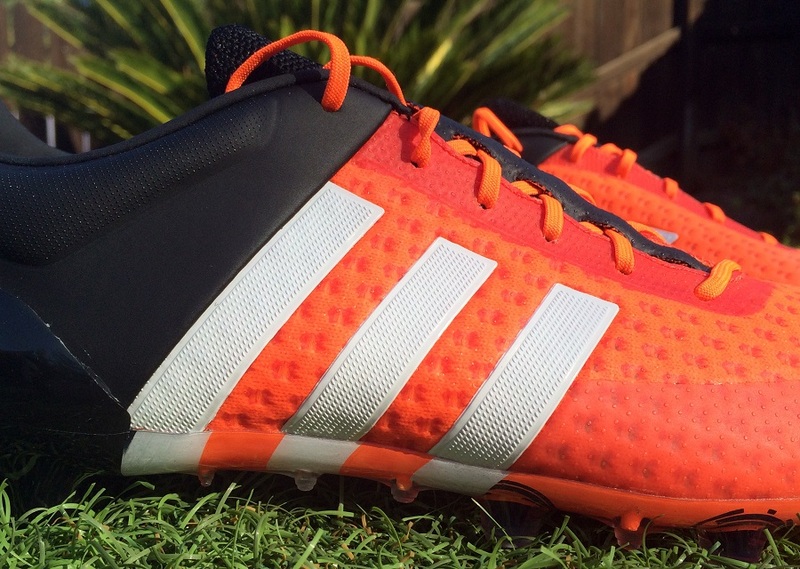 If you’d like to see more Ace15+ Primeknit check them at soccer.com. Why such a limited size run? In terms of the looseness, what boot would you compare them too? A hypervenom phantom 1 or an evopower 1?